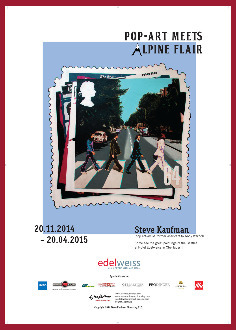 November 10, 2014 / Obertauern, Austria – American Pop Art, Inc. is proud to present “Pop Art Meets Alpine Flair,” a series of Beatles portraits painted by pop artist Steve Kaufman, on exhibit from November 20, 2014 through April 20, 2015 at the Hotel Edelweiss in Obertauern, Austria, a location where the Fab Four once stayed. This exhibition is organized by Eva-Maria Bachmaier, Claudia Haslauer, and Diana Vachier and Alberto Panizzoli of American Pop Art, Inc. and Steve Kaufman Art Licensing, LLC. 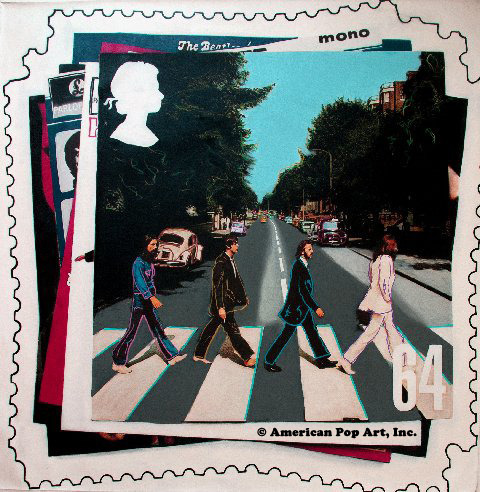 “Pop Art Meets Alpine Flair” features unique, hand painted oil on canvas silkscreen portraits of The Beatles —John Lennon, Paul McCartney, George Harrison, and Ringo Starr—all painted by the late Steve Alan Kaufman (SAK), American pop artist and former assistant to Andy Warhol. 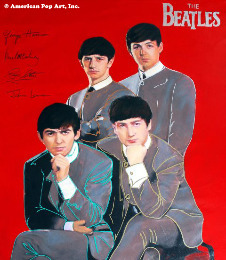 Recognizable works on display include “The Beatles 2003,” “John Lennon’s Rolls Royce 2004,” “Beatles Albums Abbey Road Stacked 2003,” “The Beatles Club 2003,” and “Beatles Album Sergeant Pepper Stack.” Steve Kaufman is noted for hand-embellishing his works, and each of his prized “Uniques” was hand painted differently. 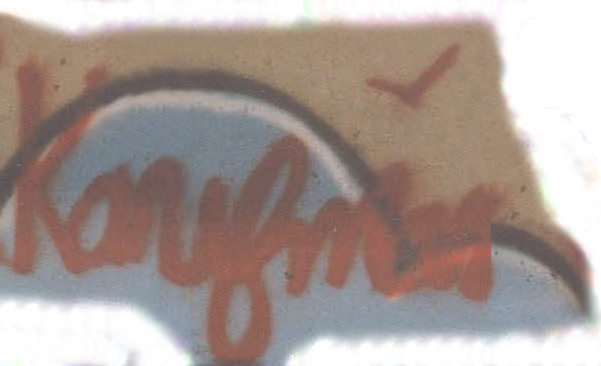 “Pop Art Meets Alpine Flair” is sponsored by Hypo Salzburg, LM Energy, Generali Agenzia di Trieste S. Antonio, GFB & Partner Wirtschaftsberatung, Prodinger Steuerberatung, Vini Casolari, Illy, American Pop Art, Inc. and Steve Kaufman Art Licensing LLC. 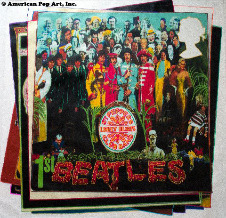 The Beatles, with 1.5 billion sound recordings sold and 27 number one hits, are notably the most successful rock band of all time. The band visited Obertauern from March 13 to March 21, 1965 to film snow scenes for their film, “Help.” They stayed at the Hotel Edelweiss and slept in Rooms 502, 503, 504, and 505. Herbert Lürzer Senior, the hotel’s owner, acted as the stunt double for Sir Paul McCartney in the film’s skiing scenes, because the Beatles weren’t very good at skiing at the time. 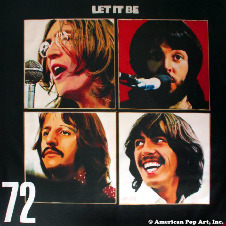 “Help” became the most successful commercial film made by The Beatles, with 29 million viewers over the first 6 months. The photo for the cover of the “Help” record album was produced in Obertauern. 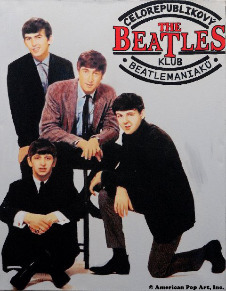 The Beatles listened to the song “Yesterday” for the first time on record at the Hotel Edelweiss. The Beatles played their only concert in Austria in Obertauern. More than 30 years later, “Yesterday” was voted the Song of the Millennium. The Sporthotel Edelweiss is located at Römerstraße 75, 5562 Obertauern, Austria. For more information, visit http://www.luerzer.at/en/luerzer-ferien/hotel-edelweiss/startseite.html. 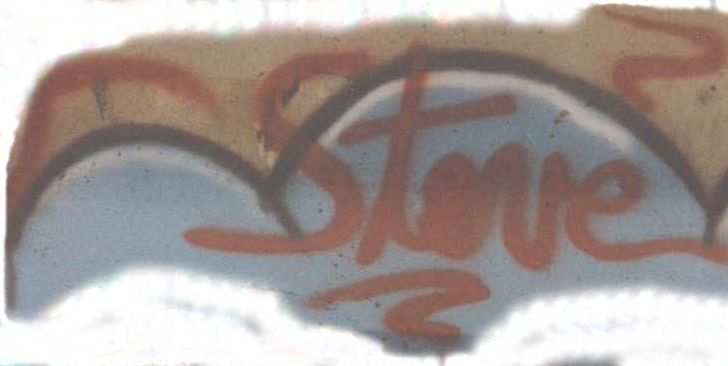 For more information about Steve Kaufman, please visit http://www.americanpopartinc.com.